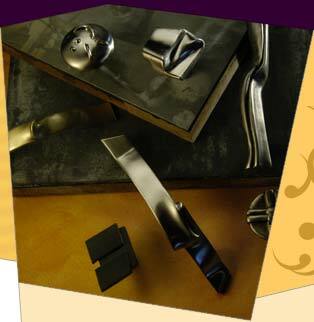 Anne at Home - designers and manufacturers of decorative hardware and accessories. Over 1200 unique and original designs in 38 finishes. Our products are the culmination of ideas gathered from industry buyers, artistic designers, home decorators and customers. Made in the USA. Coordinate your entire home with matching Cabinet knobs and pulls, Appliance pulls, Light Switch plates, Outlet Covers, Bath accessories all available in 38 finishes. The largest selection of original designs and finishes available in the kitchen and bath industry.